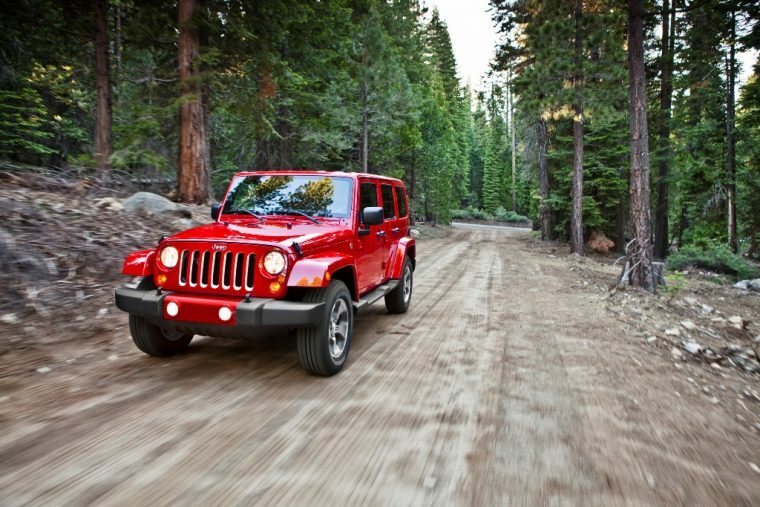 The 2016 Jeep Wrangler Unlimited is the perfect off-roading vehicle for those consumers that like to have a bit of extra space for their everyday lifestyle. With the bones of the Jeep Wrangler and an additional set of doors, this off-road vehicle is a terrific vehicle. After all, Four Wheeler magazine didn’t name the Wrangler Unlimited the “4×4 of the Decade” for no reason. For the 2016 model year, the Jeep Wrangler Unlimited has a variety of new exterior colors, along with a brand-new Black Bear Edition. 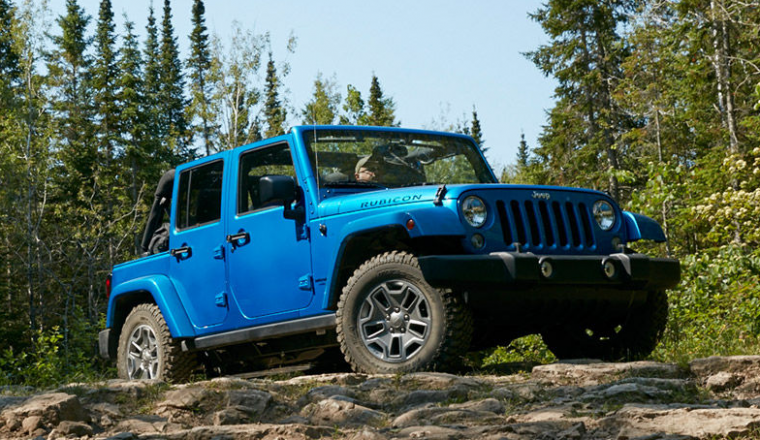 The 2016 Jeep Wrangler is offered in eight trim levels: Sport, Sport S, Willys Wheeler, Black Bear, Sahara, Willys Wheeler W, Rubicon, and Rubicon Hard Rock. When it comes to ruggedness, there are few vehicles that can beat the Jeep Wrangler—and the 2016 Wrangler Unlimited is no exception. While the frame is longer to fit the second pair of doors, the Wrangler Unlimited still offers consumers the rugged good looks the popular Jeep is known for. Aggressive body lines and a boxy silhouette fill out the Wrangler Unlimited’s form, giving the SUV the character it is known for. Every 2016 Jeep Wrangler Unlimited is powered by a 3.6-liter Pentastar V6 engine that churns out 285 horsepower and 260 lb-ft of torque. It comes with a standard four-wheel-drive, which includes high- and low-range gearing. A six-speed manual transmission is standard, though a five-speed automatic is also available. 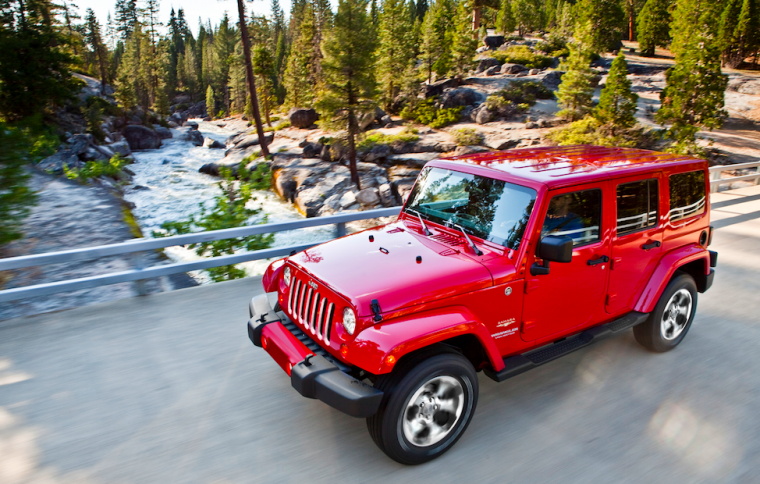 When equipped with the 3.6-liter Pentastar V6 engine and six-speed manual transmission, the 2016 Jeep Wrangler Unlimited comes with an EPA-estimated 16 mpg in the city and 21 mpg on the highway. The Wrangler Unlimited also has a fuel capacity of 22.5 gallons. 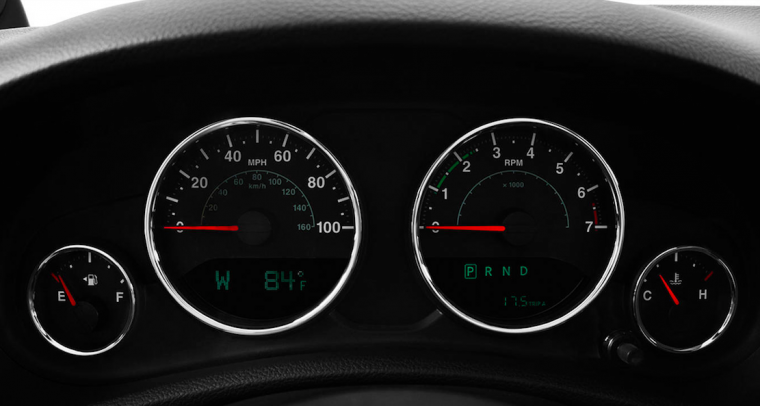 Functionality is key in the 2016 Jeep Wrangler Unlimited. The off-roader doesn’t have the most luxurious interior (unless you go for the Rubicon trim level), but it is still comfortable for everyday driving. Metal-look “bright interior accents” help add a touch of class to the Wrangler Unlimited’s interior, while an available touchscreen gives consumers the technology they need. 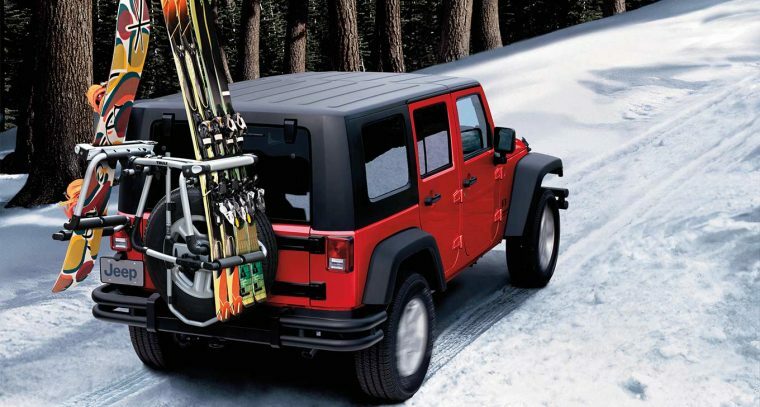 The four-door Unlimited offers more storage than the regular Wrangler with a useful 31.5 cubic feet. When the seatbacks are folded, it offers 70.6 cubic feet. The 2016 Wrangler Unlimited is rated “Good” in the moderate-overlap and small-overlap frontal-offset crash tests and “Marginal” for both side-impact and whiplash protection by the Insurance Institute for Highway Safety (IIHS). A full list of standard safety features can be found below.